Originally formed in 1984, under the name Executioner. 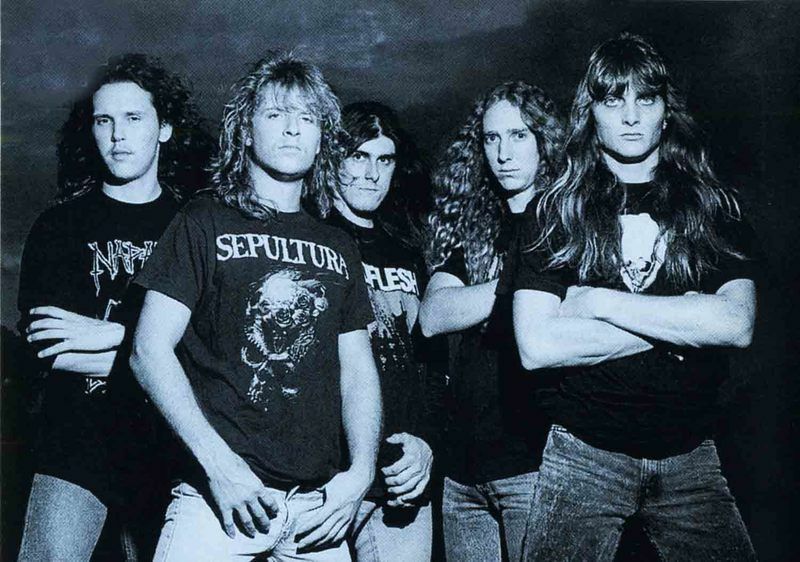 Since there was already a band called Executioner in Boston, they changed it to Xecutioner and then finally to Obituary in 1988, after they signed with Roadrunner Records.Obituary are considered to be one of the pioneering bands of the death metal genre. They started playing music in the vein of Venom and Celtic Frost. Once the band started hearing groups like Possessed, they realized that they want to make music as "sick as these guys. "Logo designed by Rob Mayworth.Their "The End Complete" album is crowned the best selling pure death metal album ever released, selling over 100,000 copies in the US, and over a quarter million worldwide. Also, the new Obituary logo (as can be seen on "The End Complete") has been considered Roadrunner's best selling shirt print in its history.Obituary had a six year absence between 1997-2003, because the band members had other priorities to turn to like raising new families and getting "real jobs". The reunion is credited to Donald Tardy's time playing in Andrew W.K. 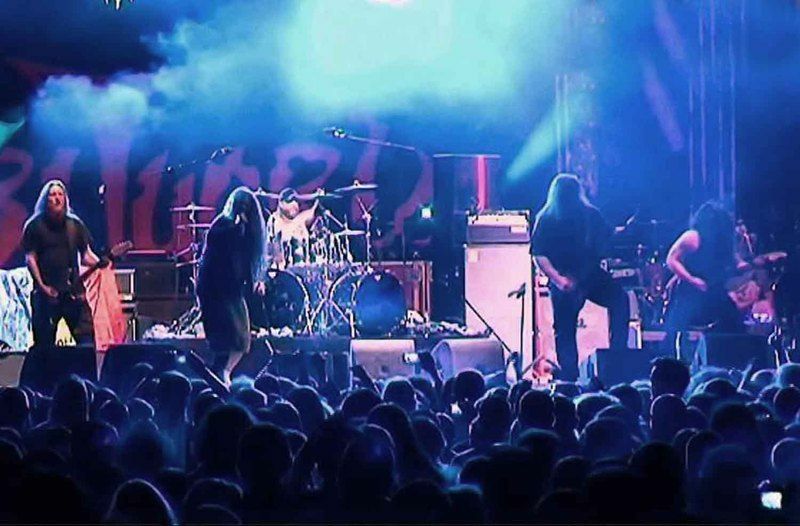 's band, when, during one live performance in Florida, some of the other Obituary members were present and decided to play some Obituary tunes just for fun for the audience, eventually leading to a full-time reunion.Trevor Peres and John Tardy have collaborated with the Brooklyn-based rapper Necro on his album "The Prefix For Death". The band members know Necro through his days as a bass player for death metal band Injustice.John Tardy said in a interview that initially there was no message in Obituary's lyrics, just some randoms words and statements about death and the rest is just growling. He started writing "proper" lyrics from "The End Complete" onwards, "mostly fictional kind of stuff, not meant to be taken seriously".Allen West was sent to prison in 2007. John Tardy later revealed in an interview that West had been jailed for repeated drink driving offenses. Ralph Santolla, shortly after departing Deicide, replaced him for "Xecutioner's Return". West was arrested again in 2013 after the police discovered a meth lab in his home. In a 2014 interview, John and Donald Tardy said they have lost contact with West, since he was released from prison.For the 2010 South American tour, Obituary's long time friend and Floridian death metal stalwart Terry Butler (Death, Massacre, Six Feet Under, Denial Fiend, Obliterhate) took on bass duties in place of Frank Watkins. Terry Butler permanently replaced Watkins some time later. 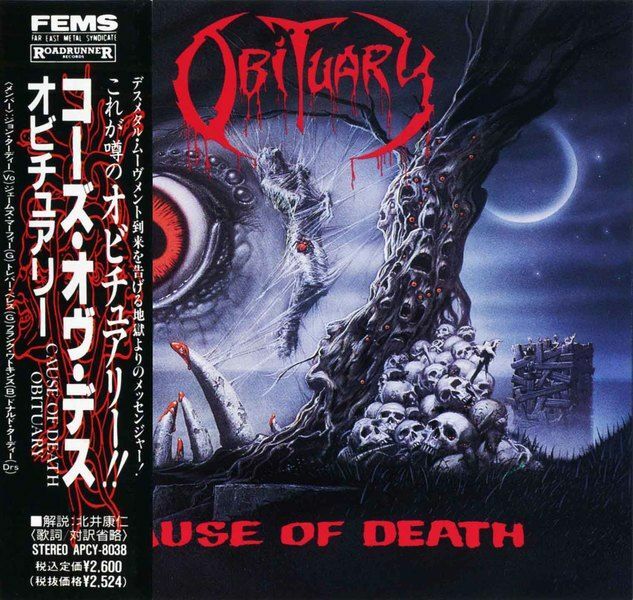 Cause of Death is the second album by American death metal band Obituary. It was released on September 19, 1990. Cause of Death is considered a classic album in the history of death metal.The artwork was done by artist Michael Whelan. It is their first release with longtime member Frank Watkins on bass, and also their first and only album with guitarist James Murphy, previously of the group Death.The cover art of this album was used in an H.P. Lovecraft collection, Bloodcurdling Tales of Horror and the Macabre, and part of it was used in The Tomb and The Doom That Came to Sarnath paperbacks. 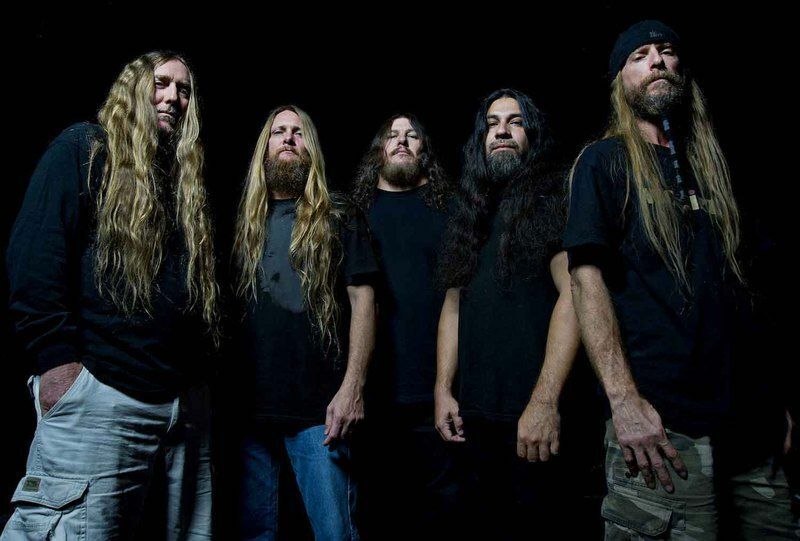 It was supposed to be the cover of Sepultura's album Beneath the Remains,but Roadrunner Records let Obituary use it first, even though Cause of Death was released a year after Beneath the Remains. Sepultura chose another Michael Whelan illustration for Beneath The Remains's cover.